Attack the outback or just cruise the urban streets with this all-new military styled wheel from ROH. 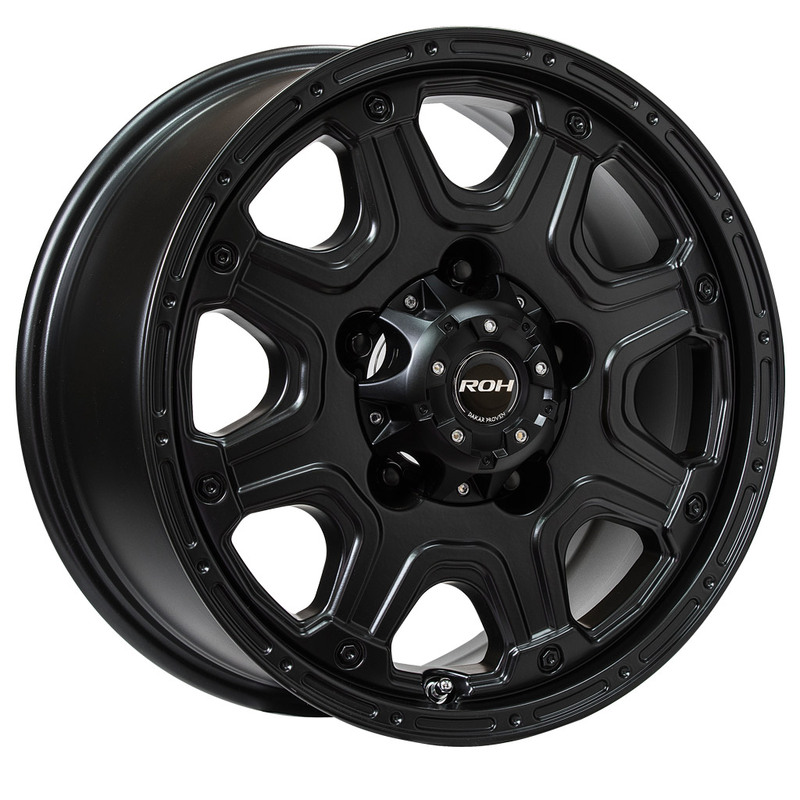 Available in 16×8 and 17×8, ROH Octagon comes in stealthy full matt black or matt black / bright machined for that tough off-road look. Octagon surpasses Australian Standard AS1638 for guaranteed off-road performance and up to 1,250kg load rating. Available for all positive offset applications such as Ranger, BT50 and Hilux as well for LC100, LC200 and 79 Series. 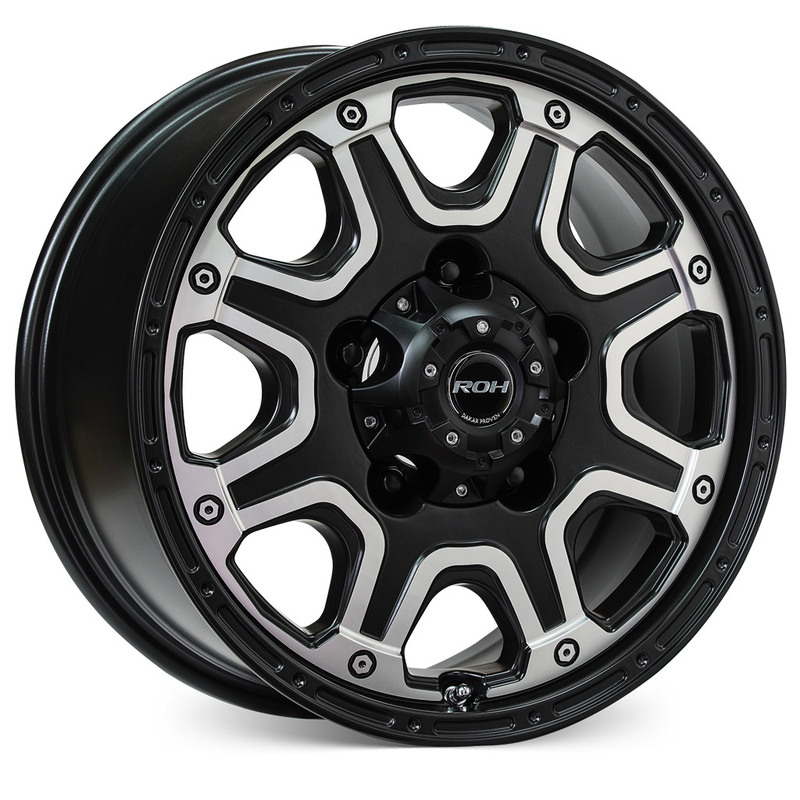 17×8 Octogon for LC200 has a 1500kg load-rating and fits the VX and Sahara models with the larger brake caliper.